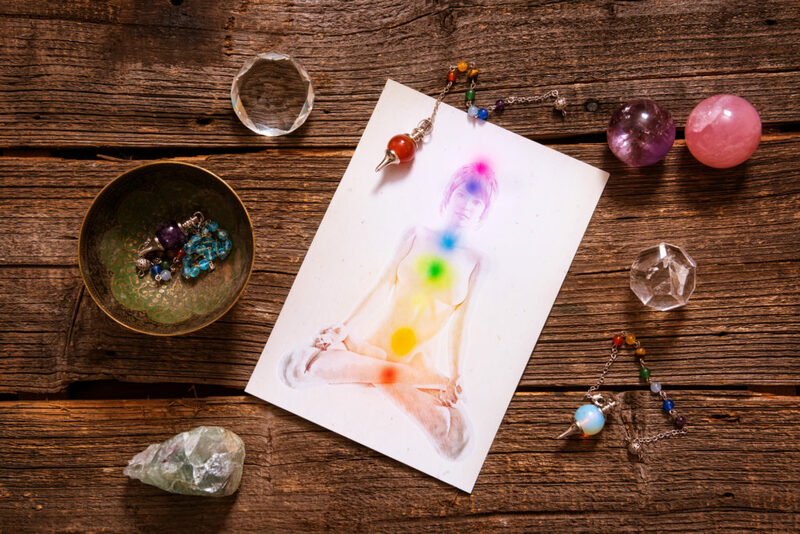 Chakra balancing can be extremely beneficial to mental and spiritual healing, this article talks about how to balance your chakras for your well being. Sandra Delgado, a lawyer with Bank of America, claims chakra balancing saved her life. “I don’t want to know what would have happened to me if I hadn’t found it,” she said in an interview with The Washington Post. Delgado isn’t alone. Thousands of people have claimed the same. But how, exactly, can this mysterious force impact your life? And where do you even start? Today, I’ll show you three easy tricks to align your chakras and feel better. As integrative neurologist and author Dr. Kulreet Chaudhary explains, chakras are “bundles of wires communicating to different organ systems.” They are the link between matter and consciousness, a mind-body connection that has the ability to cure. Chakra balancing occurs when these chakras are cleansed and blockages are removed, restoring the natural flow of energy. Numerous methods exist to balance the seven chakras, including crystal use, guided visualization, reiki, yoga and many more. This is an age-old question. To answer it, let’s turn to a discussion of science and perception. Many of the original chakras described in Eastern medicine and religions are located in medically-relevant areas of the body, notably places where electrical and chemical signals are pronounced. Therefore, chakra balancing may simply be another means to access and study subtle energies or the link between mental attitude and physiology. There are several ways to alleviate common ailments through chakra balancing. With this technique you can kiss your worries goodbye and feel better in no time. Visualizethe chakra at the base of your spine. It’s a shining red light. Move your concentration to your feet. Imagine the chakra’s red light moving into your feet as you breathe in. Watch as it travels to the chakra at the base of your spine. Imagine the red light moving back down to your feet. Repeat this exercise for 10 minutes. Lest you think visualization can be used only for physical ailments, take a gander at our article on a balanced lifestyle. Approximately 1 in 5 households have someone who experiences migraines. If you are one of these victims, crystal therapy can complement your regular medicine. Purchase one of the following crystals: amethyst, blue lace agate or sugilite. Place the crystal on your forehead or temples when you are experiencing a migraine. Have the sniffles? After cleaning your environment and your chakras, give this a try. Imagine a golden, healing light entering each location for at least three minutes per area. Place your palms on either side of your nose so that your forehead and upper jaw are covered. Place your palms on your temples. The fingers should be touching your cheekbones (you may have to cross your arms). Place your palms over your ears. Cradle the back of your skull with your palms. Gently place your palms at the front of your throat. Chakra healing can be used to repair a wide array of issues. It can be a stress reliever, a pain killer or a cure. Reiki even helps cancer patients. Attempting to balance your chakras can’t hurt, so give it a try. If you’re interested in other suggestions to better your lifestyle, check out our article on time-saving tips for busy people.